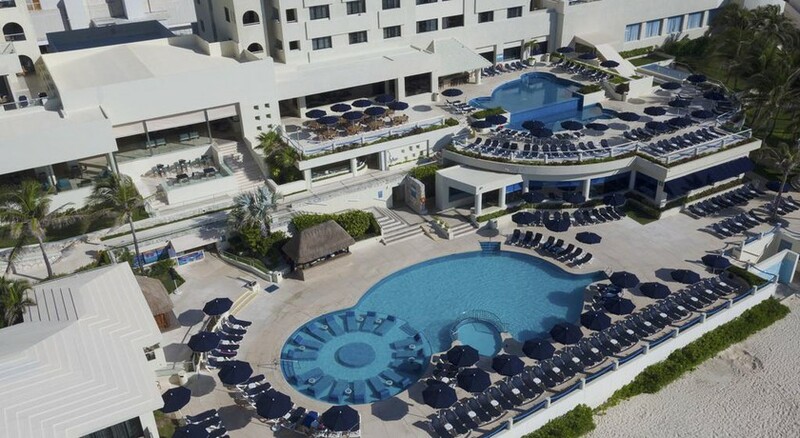 The Occidental Tucancun Hotel is an all-inclusive hotel featuring 336 rooms and a fun, active atmosphere perfect for families, couples and singles alike. Positioned next to the attractive waters of the Caribbean Sea, this resort offers some of the best views of the vast water body and is only 200m from the closest beach. 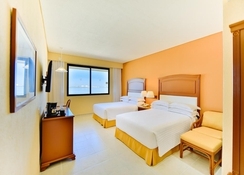 Only 25 minutes from Cancun International Airport and Downtown Cancun, the resort serves as a base for exploring the surroundings. Several commercial complexes such as Kukulcan Plaza shopping centre and â La Islaâ are within a 10-minute walk from the hotel. There are numerous boutiques, restaurants, bars and discotheques close to the property. For drinks and dine the hotel offers four restaurants: two buffet and two a-la-carte available for dinner and five bars. For leisure, sports, entertainment and health the hotel offers three swimming pools (one with Jacuzzi). 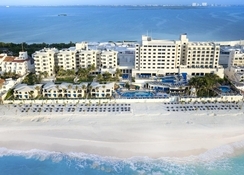 The Occidental Tucancun is a beach-front hotel in Cancun's Hotel Zone. The La Isla Shopping Village is only a kilometre from the hotel. In the mood to taste authentic tequila? 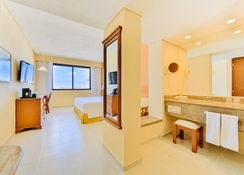 Head over to the Hacienda Tequila Cancun, which is 500m from the hotel. 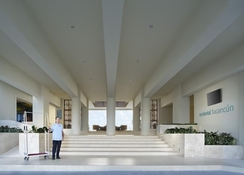 The Cancun International Airport is 19km from the hotel, making it convenient for the guests to board their flights on time. The hotel has air-conditioned rooms with contemporary furnishing designed to please all kinds of travellers. The rooms come with all the necessary amenities, including a flat screen TV, direct dial telephone, king-sized or double bed, safety locker, alarm clock, hairdryer, coffee maker, mini fridge, alarm clock, hairdryer, coffee maker, mini fridge, safe deposit box, iron and ironing table, electricity 110 VL, Wi-Fi, in-room service and a balcony with sea or lagoon view. The hotel also offers to its guest’s exquisite facilities with extra charge that includes 24hrs-room service, box lunch, wines and imported drinks, fax & copies service, babysitter, laundry service, movies & pay per view and a safety deposit box in each room. The hotel offers ample dining and drinking facilities in its four restaurants that include two buffet & two a la carte restaurants and five bars for alcoholic and non-alcoholic beverages. The restaurants at the resort include Miramar, La Claraboya, Mexico Lindo and La Trattoria. Guests can quench their thirst at the Lobby Bar. Guests can stay engaged and excited throughout their stay thanks to the abundant sport and leisure facilities offered by the hotel. 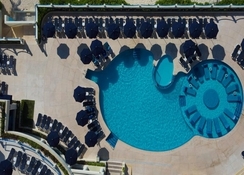 There is an outdoor swimming pool, where guests can take a relaxing swim and soak up the sun on the sun loungers dotted across the pool while sipping on refreshing cocktails. 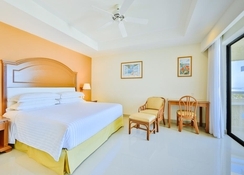 The hotel also offers excursion services, horse riding and ATV’S, motor sports such as Jet ski, banana & water ski, wind surfing, catamaran, snorkelling, kayaks, aquatic tricycles and much more. The hotel possibly has one of the best spas in Mexico, where guests can enjoy a number of massages and beauty treatments.